Performance appraisal is defined by Wayne Cascio as “the systematic description of employee’s job relevant, strength, weakness.The Factors Affecting the Effectiveness of Performance Appraisal Systems Research Methodology Used to Evaluate Employee Performance Appraisal Systems. 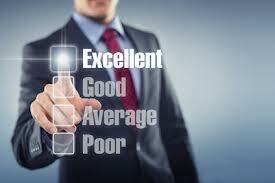 Performance appraisal is beneficial because it provides feedback to the employee about his performance. It identifies the areas for improvement so that employee can improve itself. Due to performance appraisal it is easy to understand what type of training is required for each employee to improve himself accordingly training programs can be arranged. Performance appraisal provides a report about the employee. Based on this report future promotions are decided, incentives, salary increase is decided. Through performance appraisal the HR department can identify whether any changes are required in the selection process of the company normally a sound selection process results in better performance and positive appraisal. Employee with specific talent can be transferred to places where their talents are utilized properly; similarly decisions regarding termination of employees depend upon performance appraisal reports. Companies can plan for future vacancies at higher levels based on performance appraisal reports. Similarly career planning can be done for the employee on the performance appraisal report.